This statistic shows the amount of radioactive waste stored in selected countries. 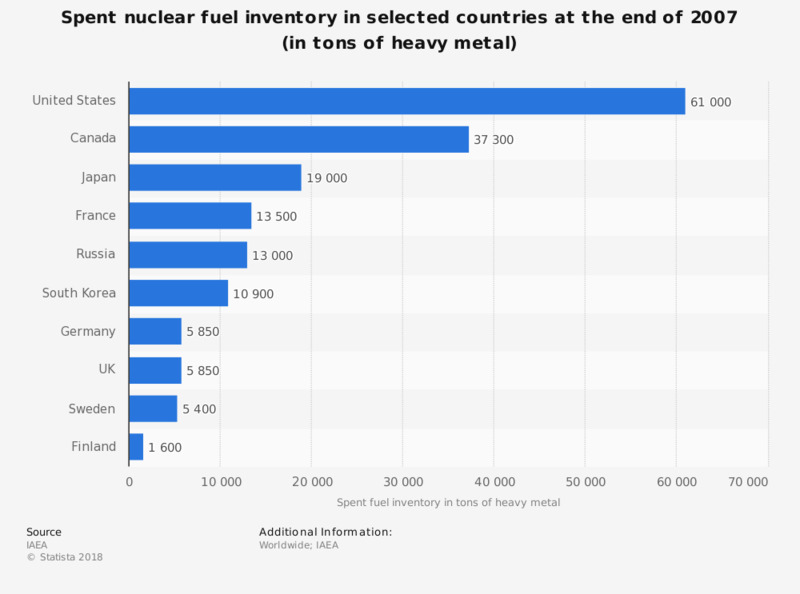 In France, the stockpile of spent power-reactor fuel amounted to 13,500 tons of heavy metal. Spent fuel inventories in cooling ponds and dry-cask storage.